You won’t have to play “Six Degrees of Kevin Bacon” to take advantage of Mill Creek Entertainment’s Mar. 6 Blu-ray and DVD priced-to-collect product promotion featuring Kevin Bacon. 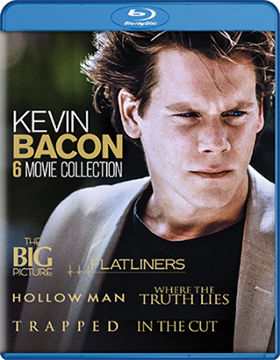 Titled Kevin Bacon 6 Movie Collection, fans — and film fans in general — can snap up these double-disc Blu-ray and DVD presentations at very attractive pricing. So what do they get … let’s get right to that! Two of his best sci-fi thrillers are included here, director Joel Schumacher’s Flatliners, which teamed him with the likes of Kiefer Sutherland, Julia Roberts, Oliver Platt and William Baldwin and director Paul Verhoeven’ Hollow Man, which saw Kevin as a crazed scientist stalking his fellow researchers, which included Elisabeth Shue and Josh Brolin. Kevin Bacon gets to torment both Charlize Theron and Dakota Fanning in director Luis Mandoki’s 2002 kidnapping thriller, Trapped, and Meg Ryan is the object of Bacon’s obsessions in director Jane Campion’s 2003 thriller, In the Cut, which also features Jennifer Jason Leigh, Mark Ruffalo and Nick Damici. Rounding out this six-film collection featuring Kevin Bacon are writer/director Atom Egoyan’s 2005 mystery-within-a-mystery tale, Where the Truth Lies, which co-stars Colin Firth and Alison Lohman, and lastly, director Christopher Guest’s 1989 romantic comedy, The Big Picture, where Kevin, as a film school graduate, learns about the shark-infested waters of Hollywood. Also arriving on Blu-ray from Mill Creek Entertainment on Mar. 6 is the Blu-ray debut of director Catherine Hardwicke’s 2005 award-winning bio-pic, Lords of Dogtown, starring Heath Ledger … this is the unrated, extended-cut not seen in theatres! Bonus features include commentary, deleted scenes and much more!! 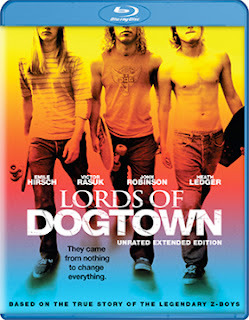 And, get this, the SRP is just $14.98 for Lords of Dogtown (and that’s before discounts at retail). Also among the priced-to-collect Blu-ray product offerings from Mill Creek Entertainment on Mar. 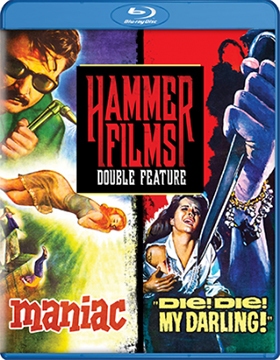 3 are two double-features from the famed Hammer Films library — director Maniac, featuring Kerwin Mathews and Nadia Gray, is teamed with the 1965 horror-thriller, Die! Die! My Darling, which stars Stefanie Powers and Tallulah Bankhead (and yes that is Donald Sutherland in one of his very early film roles). The other double feature on Blu-ray from the Hammer Films library is director Cyril Frankel’s 1960 film adaptation of the Roger Garis stage play, Never Take Candy from a Stranger, which is teamed with director Seth Holt’s 1961 horror-thriller, Scream of Fear!, featuring Susan Strasberg and Hammer Films icon, Christopher Lee. Rounding out the Blu-ray selections on Mar. 6 are both Blu-ray and DVD editions of the documentary feature debut of Legend of the American Sniper (which includes Digital Copy). This is an insightful look at what it takes be an elite sniper for American ground forces in combat. On the DVD front, Mill Creek Entertainment has two for the young ones with the release of Baby First: ABC Galaxy of Learning and Baby First: Color Crew New Adventures — over two hours of fun and learning comes with both of these priced-to-own DVD product offerings (the SRP is just $9.98 each). On the TV front, Mar. 6 brings collectors the Robert Altman anthology six-part mini-series, Gun, and the six-disc set of Crossbow: The Complete Series, starring Will Lyman as the legendary William Tell.